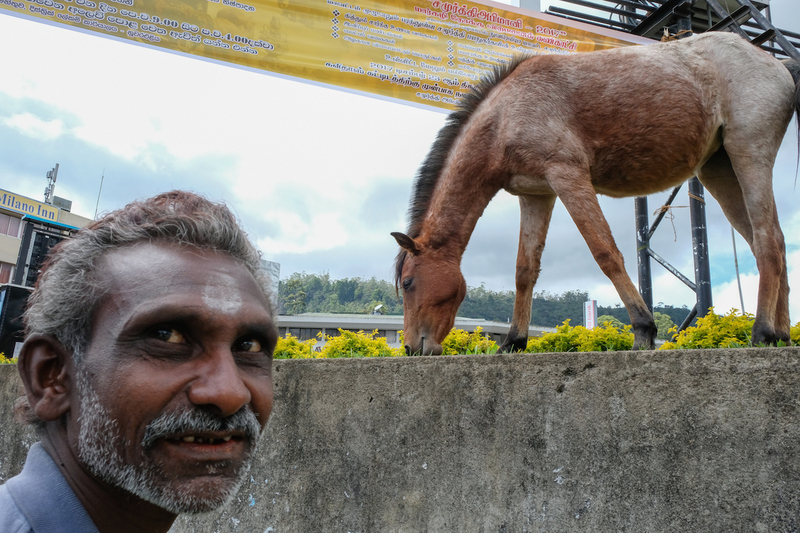 After sorting through my photos of Sri Lanka, I ended up with a pile of shots that I call b-sides. Like the songs on the b-side of an album, these photos are misfits for whatever reason. Perhaps they are okay photos that are missing something or are leftover photos that don’t fit in a photo essay. 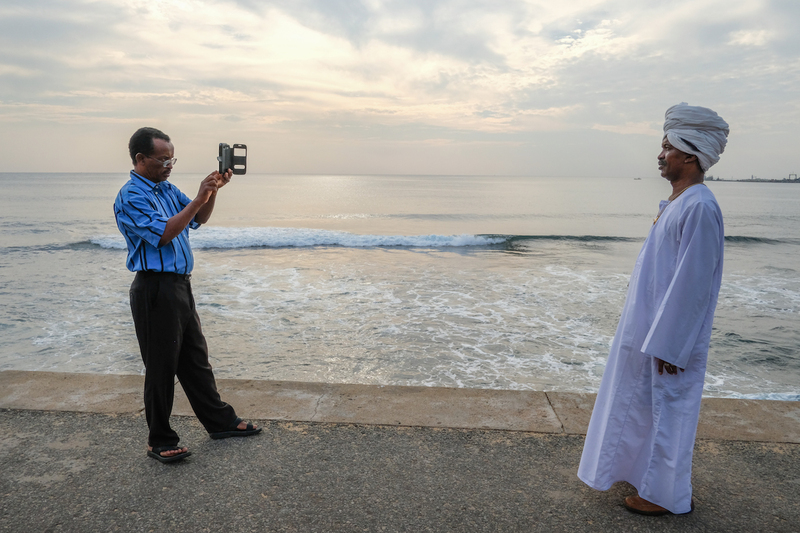 However, I think these photos have value and deserve to be seen, since they show the quirky side of life and travel in Sri Lanka. Okay, I’ll let the photos do the talking from here. Did you enjoy any of these odd photos from my trip? love the Santa and the train and what is that horse doing up there? I have no idea what the horse was doing. He was grazing in the middle of a shopping center lawn. Thanks for the comments. 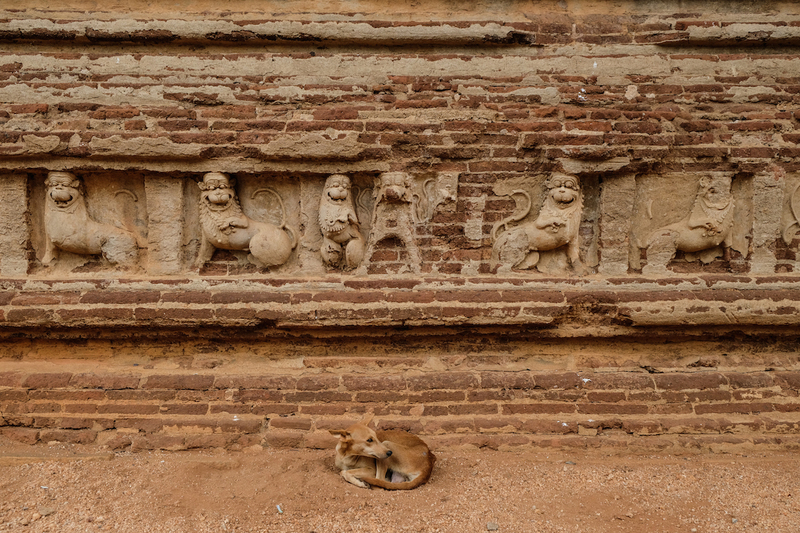 Did you take photos No.11 & 14 in Anuradhapura? Do you remember the name of the temple? You know, actually most of these photos worth to be on A-side. 11 and 14 were in Polonnuwara, and I looked but I don’t know the temple. It was a massive pile of bricks covered under a roof to prevent further erosion. Hmm, maybe I didn’t go there. Now I’m really curious about it! 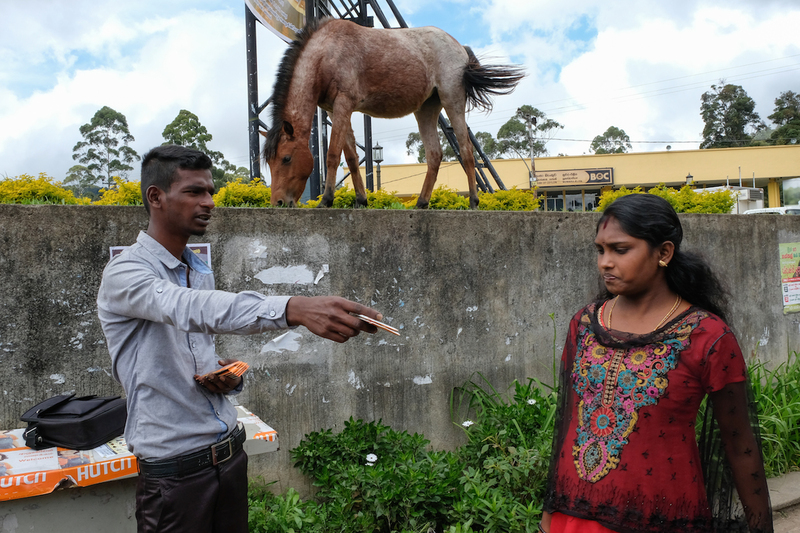 It was about 2 hours east of Anuradhapura. 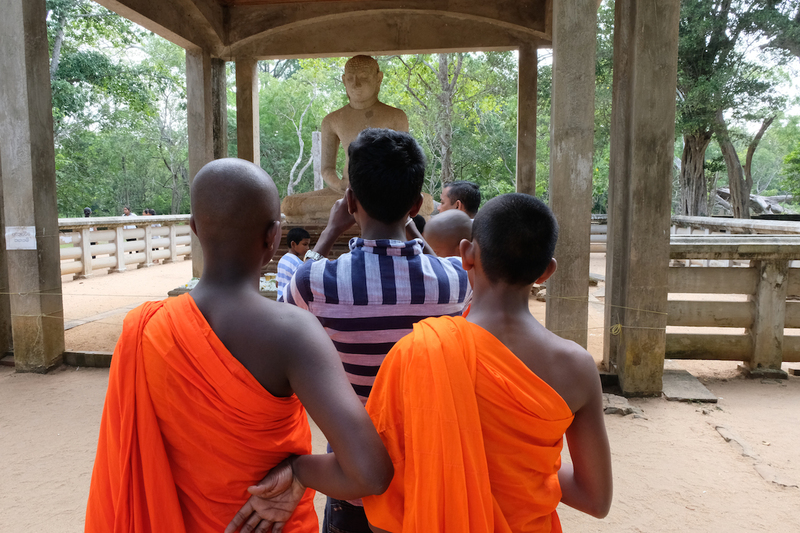 The ruins are probably more impressive and more photogenic, but we didn’t have the same religious activity and local visitors we saw in Anuradhapura. I’d say it is worth a visit if you are in the area for sure, but maybe not worth making a special trip for. a gallery full of contrasts. Love it! HAHA, thank you very much. Thank you. I liked that photo too. 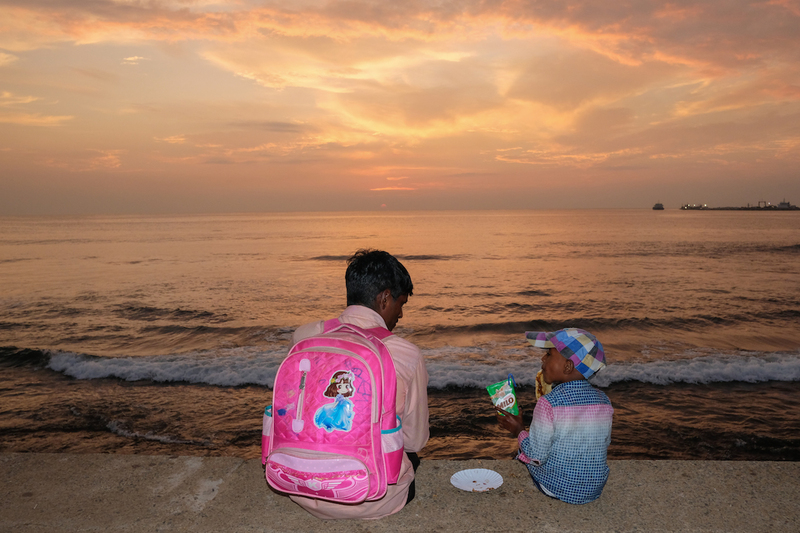 Something funny about the pink backpack with the sunset. I think they are A side worthy, specially number 12. Somehow that caught my attention. 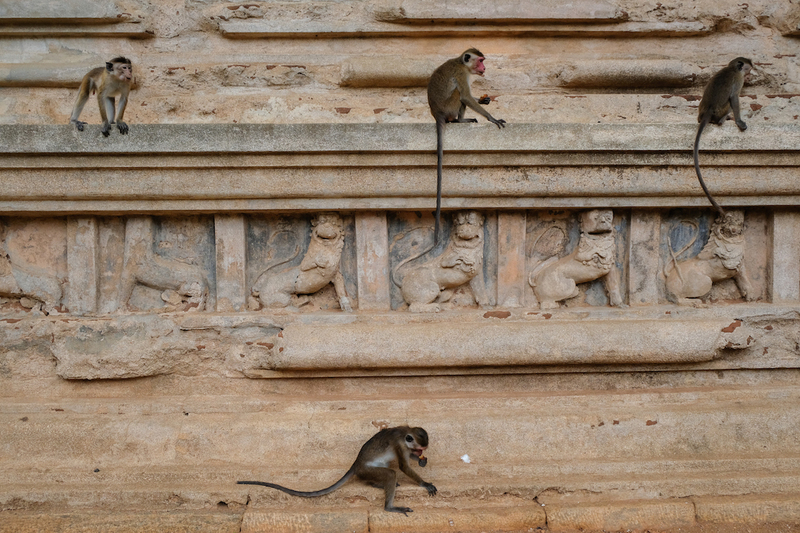 I have posted some pics on my blog from Sri Lanka if you get curious and want to check them out. 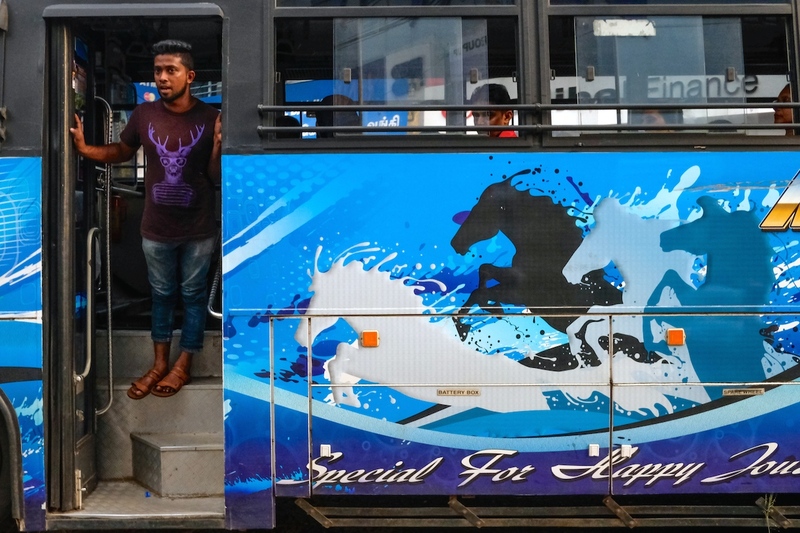 I’m planning a trip to Anuradhapura, hopefully I’ll make it. I think for me number 12 shows a person from a totally different culture from mine doing something we all do – posing for a photo in a beautiful place. 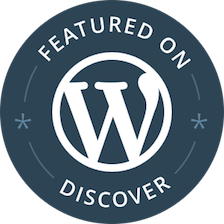 I’ll definitely check out your blog. 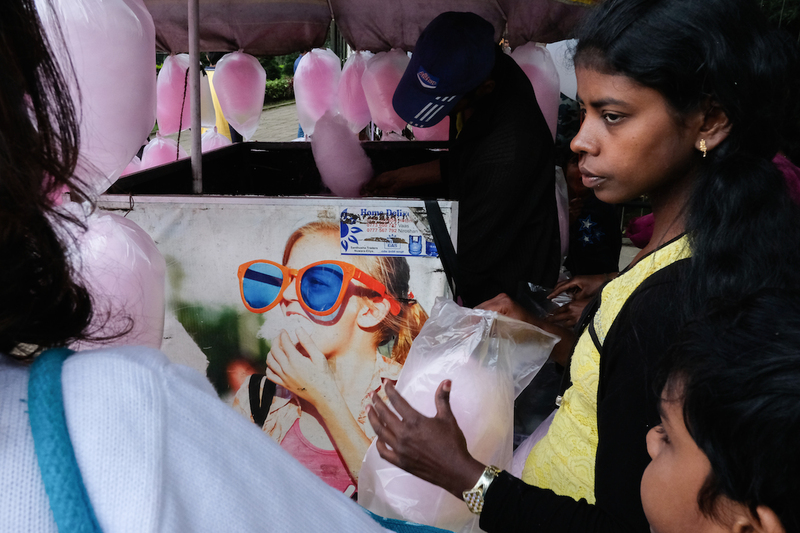 Enjoy Anuradhapura! Your “quirky” photos are fascinating. Love #1, 4, 12. Those Sri Lankan kids are just the cutest. I’ve seen lots of #6, 8, 10 in my travels— you’ve really captured the cultural gap in a very powerful way. 6, 8 and 10 are interesting to me also. At many times I felt like the tourists were being very disrespectful in their choice of clothing (or lack of clothes!) 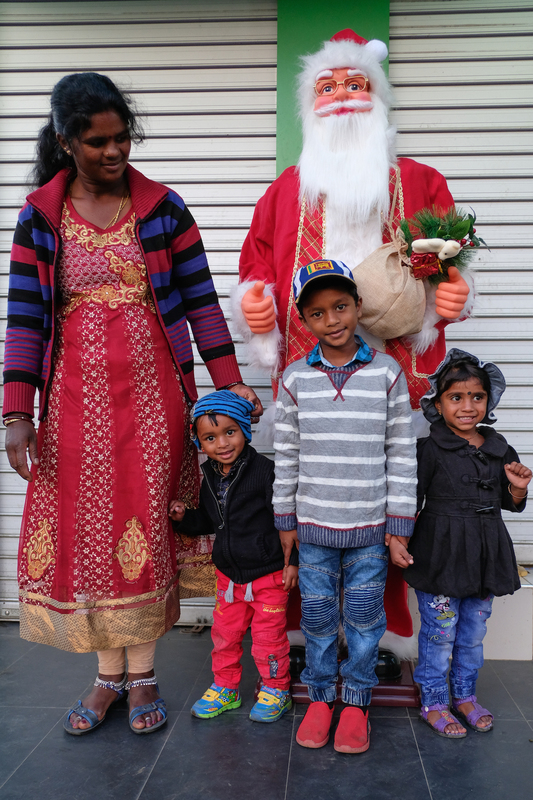 I don’t often take photos of cute kids but those in front of the Santa were great! Thank you Agness! I appreciate the comments. I think 2 is my favorite, just something about the man and the mannequin. 6, 8 and 10 make me want to smack someone. I’m all for personal clothing choices, but blatant disrespect is something else. 7 makes me wonder what she is thinking. The expression on her face is probably boredom or exhaustion, but is so close to sadness. Great set of images, I’m glad you decided to share them. Thank you! I like #2 also. 6,8, and 10, yes, I don’t understand the clothing choices sometimes. People should do their best to be respectful with clothes. Having said that, I saw a few people denied entry to temples for their clothing so they got their comeuppance. 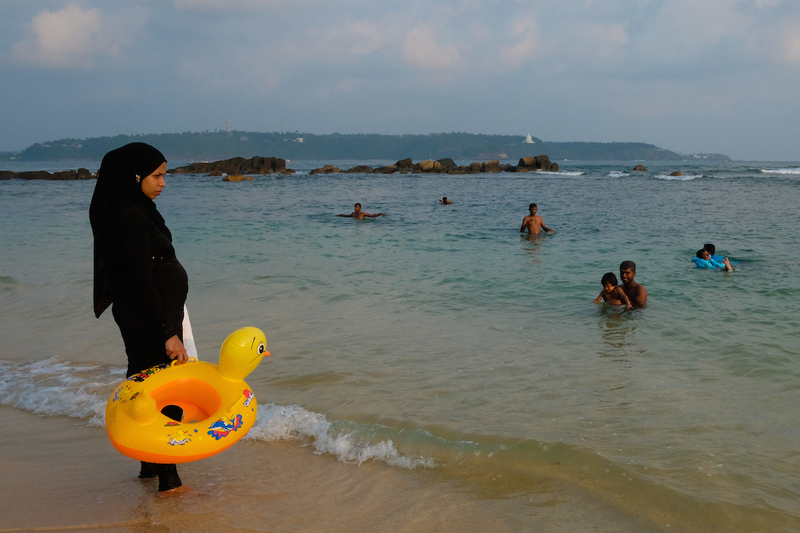 I feel most sorry for Muslim women at the sea or pool when they aren’t in the water, covered from head to toe while the men swim bare-chested. Number 11 is my favourite. The curiosity of the dog has got me. The dogs and monkeys hanging out in front of the statues was funny to me. Thanks for the comment. Interesting photos. The contrast between the locals and visitors’ clothing is glaring. Not that it’s right or wrong, just a big difference. I like the ‘Santa’ photo best. Yes, the difference in clothing is very stark. It is interesting to see the clash of cultures at times. Thank you for the comments.